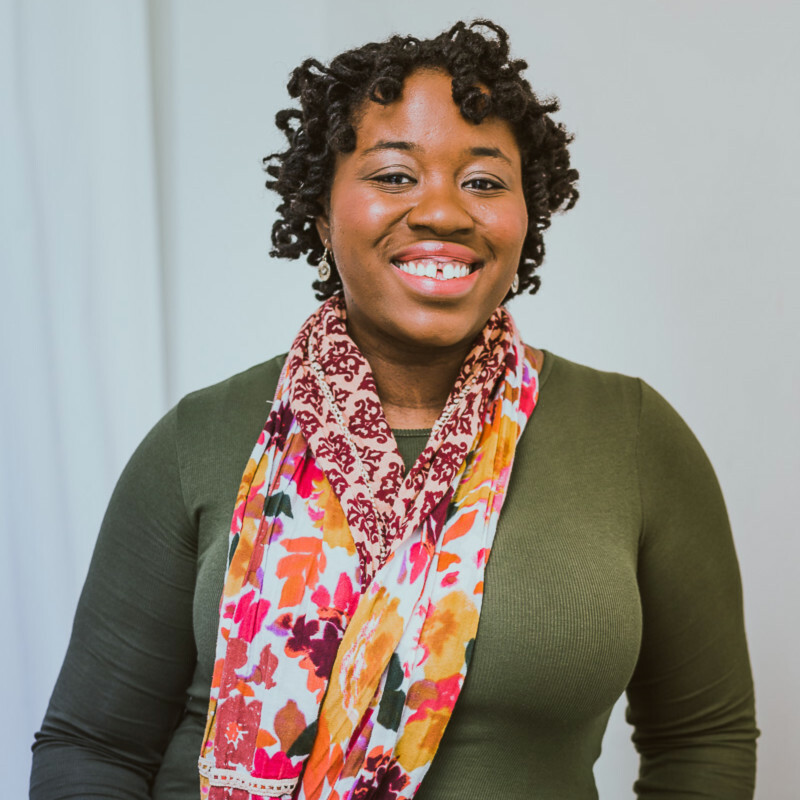 Many naturals (naturals meaning women who wear their hair natural without chemically processing it), myself included, have a habit of looking at pictures of other naturals online for hair inspiration. A majority of my tumblr is women with natural hair. I would like to caution all the naturals out there that the hair you may be trying to emulate on your hair idol may be a weave. I'm not saying there is anything wrong with weaves, or that naturals shouldn't look at photos for inspiration, but you must be very careful that you aren't trying to obtain a look with your hair that is really faux on someone elses. 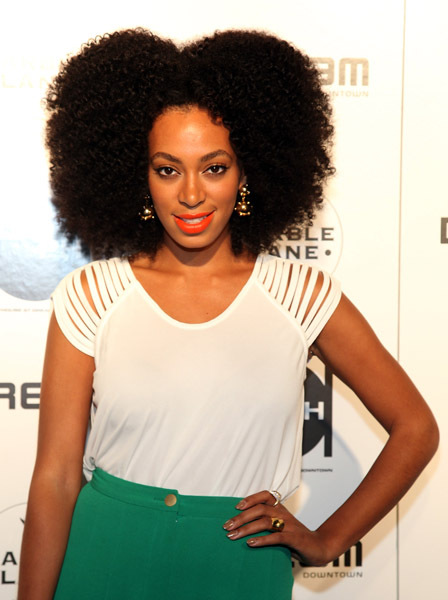 The natural hair blogosphere is always raving about Solange. I like Solange, her hair and her style are quite usually on point. But, as you can see from the photos below, taken within days of each other, her hair is not always the hair grown out of her head. 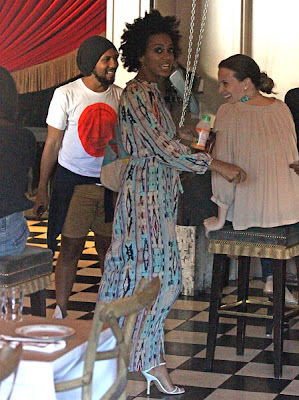 I guarantee you there are women who saw the picture to the right and thought "darn, how come my hair isn't growing as fast as Solange?" or "how come I can't get my fro' like that?" To a natural who hasn't yet gained enough confidence, or a new natural, this can be discouraging. My caution to all my natural hair junkies out there is to be careful not to completely idolize someone else's hair, because they may be working with more than what's coming out of their roots. Work on making your hair the best it can be, not trying to make it look like someone else's. Good point. (Extra late pass) but I just found out Teyana Taylor's hair is weave. It's good weave, but weave nonetheless. Staying focused on your own hair is the key. Its understandable that those artists/celebs would wear a weave because of all the harsh heat and chemicals their hair endures while working on sets and stuff. But at least the weaves they are wearing are a closer representative of black hair in a more natural state rather than bone straight weaves with Kim K. curls! @Anon- definitely, it makes sense for them to protect their hair by wearing weaves.